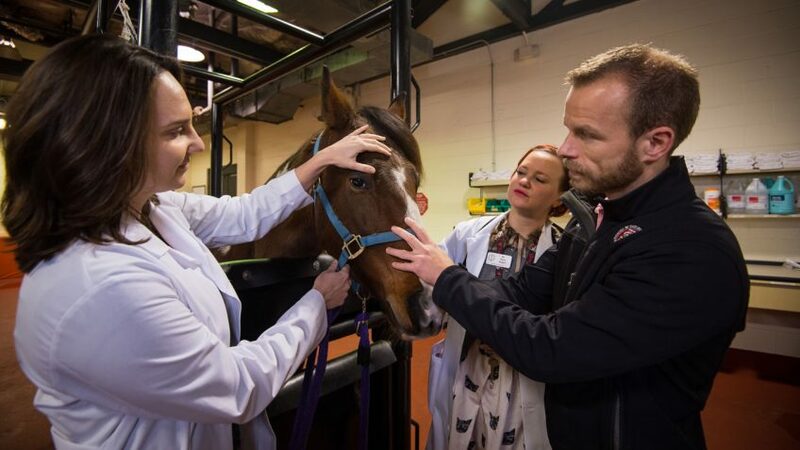 Center: Timo Prange, clinical assistant professor, equine surgery inspects horse for possible skin tumor. A cancer therapy now offered by the NC State Veterinary Hospital’s equine surgery service is successfully treating some of the most common skin tumors in horses. Electrochemotherapy, or ECT, enhances traditional chemotherapy injection into cancerous tumors by using short electric pulses, tremendously increasing cancer cells’ drug absorption compared to traditional intra-tumoral administration. The treatment generally offers excellent long-term control of cancers in pets, and is particularly beneficial for treating tumors that cannot be removed because of location or an aggressive growth pattern. The equine service primarily uses ECT to treat cancers with high likelihood of recurrence, including sarcoids, melanomas and squamous cell carcinomas. It has been reported that when implementing ECT, certain drug concentrations in tumors increase 100-fold and that there is a 99.5 percent non-recurrence rate for equine sarcoids when treating with ECT. Horse candidates for ECT undergo thorough examinations, with previous tumor treatment, size, location and growth appearance are taken into consideration before settling on a treatment plan with horse owners. Depending on the size and type of tumor, two to four ECT treatments at two-week intervals are usually recommended. Horses undergo brief intravenous anesthesia during treatment. ECT is also used by the NC State Veterinary Hospital’s medical oncology service to treat small animals. 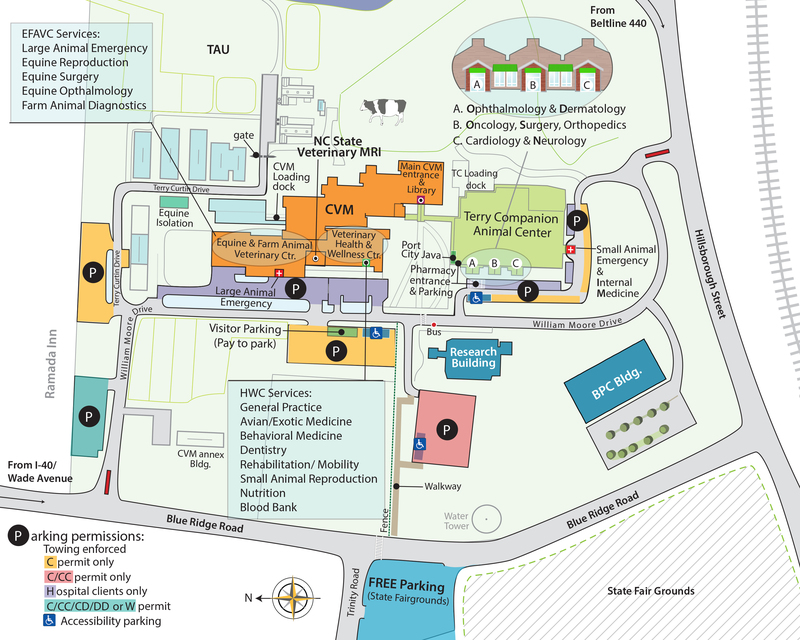 For more information on the NC State Veterinary Hospital’s equine surgery service, go here.